All the crazy cat people here is the perfect t-shirt for you to show off you obsession with this cute and adorable feline friend. Featured on this t-shirt is a heart that has a silhouette of a cat on it and the entire t-shirt has the saying ” I love cats, it’s people who annoy me”. Made from 100% cotton you can be sure that this will be a very comfortable t-shirt as well as being super durable. Available in a wide variety of sizes and check out the different styles of shirts and hoodies to get this fun and cute cat print on. 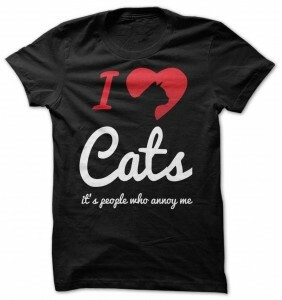 So go ahead and be a crazy cat person with the I Love Cats, It’s People Who Annoy Me T-Shirt. This black t-shirt shows the picture of a cat’s face and not just a face the face is made out of one color making this an amazing piece of art that looks amazing. 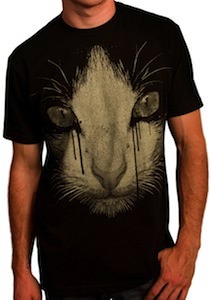 The cat on this t-shirt seems to be crying but the liquid coming from it’s eyes seems to be dark, maybe it is ink or blood but it will be a guess for me. 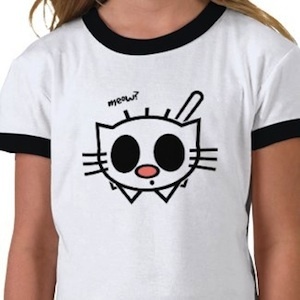 This crying cat t-shirt comes in a men and women’s style in a range of sizes from Small to 2XL. And a cat like this deserves a quality t-shirt so the shirt is made from 100% premium quality cotton. Cat lovers should definitely have a closer look at this Crying Cat T-Shirt. 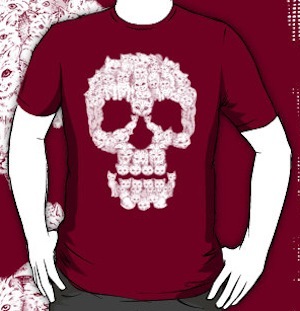 Are you one of those people that like skulls on their t-shirts? If so then maybe you are a cat lover. Specially when you where this t-shirt. The skull on this t-shirt is made completely out of cats. So yes in fist glance it is a skull but if you look closer then you just see a bunch of pussies. This skull t-shirt comes in different styles, colors and sizes to fit your needs. Come have a closeup view of the Skulls Are For Pussies T-Shirt. Sometimes it is easier to just wear how you are feeling. This is a t-shirt that features a black cat about as stressed as it can be, a perfect shirt for your stressful days. The I’m Stressed-Cat t-shirt is shown here in Ash color but you can find this t-shirt in many other colors aswell as many different sizes. Also check out the four different styles of shirts to choose from. Get your I’m Stressed-Cat T-Shirt. This t-shirt is great for Halloween. It has a cute carved pumpkin and a kitten hiding behind the pumpkin. This t-shirt is mainly great for kids but if you are not a kid then you can still get one in your size. 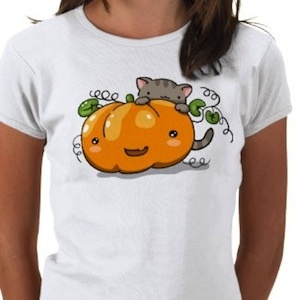 So if you want to be ready for Halloween then go check out this Pumpkin And Kitten T-Shirt. This kitty is gone have fun. 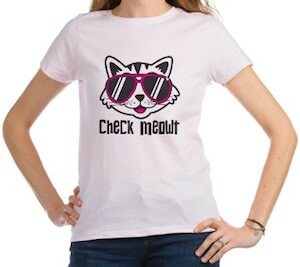 By wearing this t-shirt you cute kitty is gone see the world that you live in. The drawing of this cute cat is making it look so cute and for that reason we showed you the kids version. But that does not mean that there are no version for adults and yes different colours will be there to. Get your love from cats out with this Cute Kitty T-Shirt. Is you kitty not happy with you always doing the downward dog? 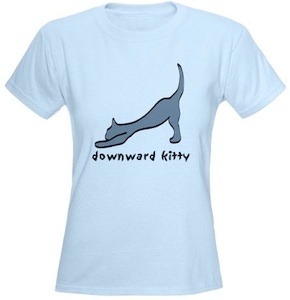 Now you can do yoga in piece because this t-shirt shows you how to do a downward kitty instead. Go check all the colors of this Downward Kitty T-Shirt.